Development of the Veyron’s replacement began more than four years ago. 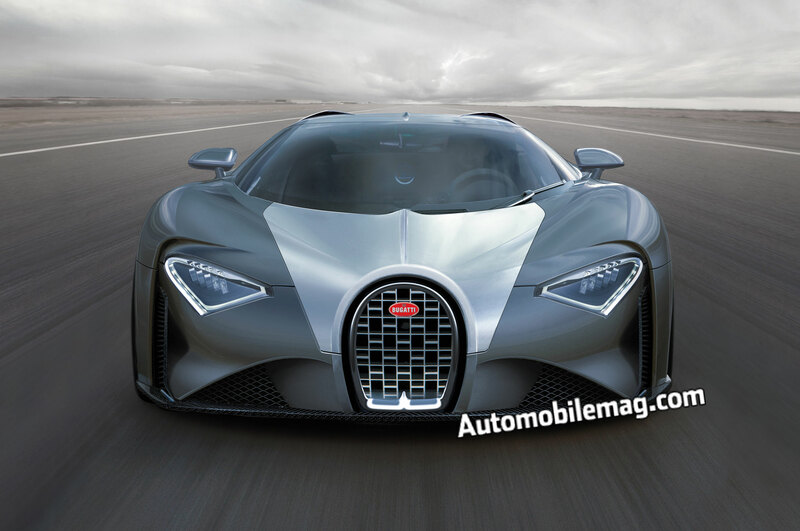 The Bugatti Chiron (shir-on) should be lighter and more responsive than its predecessor. It also should have 1,500 hp, a 0 to 60 mph time of just more than 2 seconds, and a top speed of more than 280 mph. It should be an all-time automotive colossus. A fair amount of Veyron technology will carry over into the new car, but the pieces and parts will be modified for use on the Chiron. Its body will be derived from the Veyron’s existing carbon-fiber architec-ture, but more than 90 percent of the parts will be new or altered to enhance rigidity and keep down the Chiron’s curb weight. 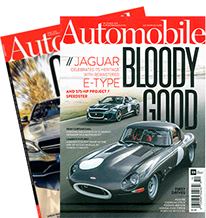 The Veyron’s quad-turbo, 8.0-liter W-16 engine will carry over, but boost will increase and at least two of the four turbo­chargers will be electrically powered. Powertrain output will be delivered through a seven-speed dual-clutch transmission and dispersed through torque-vectoring all-wheel drive. The Chiron’s interior will be more spacious than the Veyron’s and feature a more comfortable driving position and improved outward visibility. When the all-new Bugatti finally does bow, expect it to start with a price tag of around $2.4 million. Seriously? 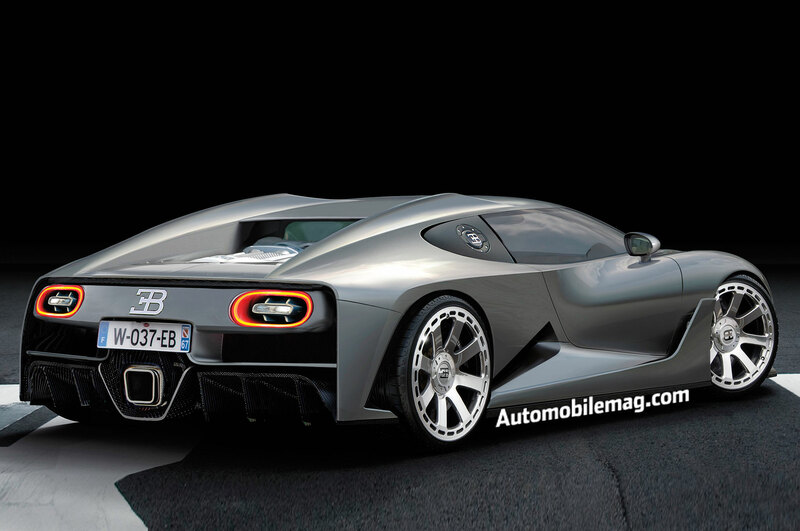 If you don’t care about a new Bugatti, then please feel free to stop reading right now. The Veyron absolutely redrew the boundaries for supercars, and it has been the archetype for ultra-performance exotics since 2005. It barely evolved over its decade-long lifespan yet still managed to stay relevant. Even before the Chiron shows up, we should start celebrating the successor to something as impressive as the Veyron. We doubt that a nearly flawless performance will be followed by a halfhearted encore. Ferdinand Piëch has Bugattis in his garage, and during his time running Volkswagen Group, he stood as the guardian of the French marque. But Piëch has been ousted, and now Bugatti is sans a brand champion. The brand isn’t a moneymaker (it makes no money at all) and serves only as superfluous hypercar fluff for the German corporation. Making matters worse, development of the Chiron has been anything but smooth. During a drive of prototypes a while back, VW chairman Martin Winterkorn took issue with the car, and its launch was pushed back by a year. Originally planned for a debut this year, the Chiron should now be unveiled sometime in 2016.